In East Asian cultures, many artistic traditions are considered to be ways of achieving self-discipline as well as a means of producing aesthetically engaging expressions of creativity. There are numerous venerable examples of these "meditative arts," but in Japan none is more highly esteemed or inclusive of different artistic media than chado, or "way of the tea." 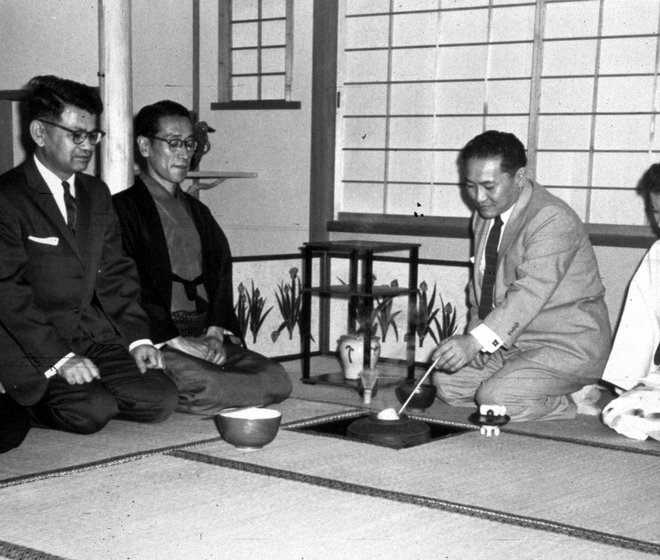 About the tea ceremony, Gerald Yoshitomi says, "the art of the tea has been characterized as the very essence of Japanese culture, embodying as it does the various artistic disciplines of ceramics, architecture, visual art, literature, and calligraphy, not to mention the mental discipline which goes into the formation of one's character." Chado is a complex series of hundreds of steps designed around the act of serving tea and requires a connoisseurship of all the necessary physical accoutrements as well as acute sensitivity in the disciplined interaction among its participants. 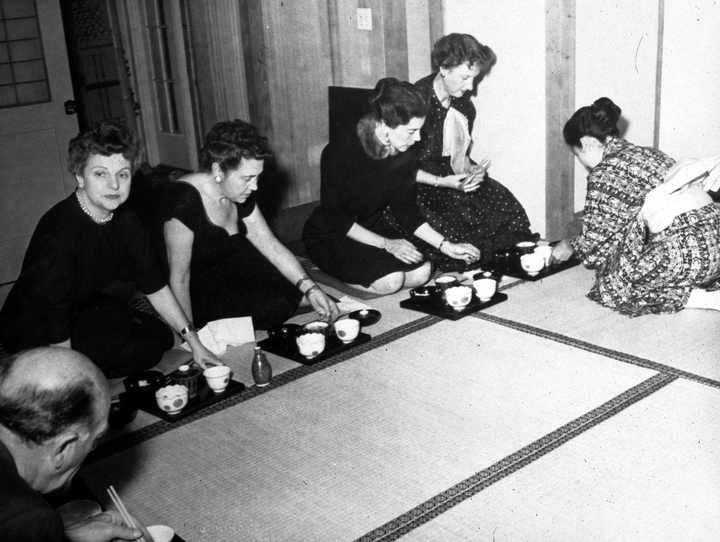 When properly practiced, the natural setting, the delicately wrought tea utensils, the simple elegance of the decorations and the smooth, regulated movements of the participants combine to remove the host and guests from the pressures of the outside world and place them in an atmosphere where each finds inner peace and tranquility. Historically, chado has left its mark on many other art forms. In the sixteenth and seventeenth centuries, for example, tea masters influenced the shaping of some of the most beautiful of ceramic tea ware, always preferring the simple, rustic and spare over the highly finished and refined. In the United States, the most influential teacher and accomplished master of chado is Sosei Shizuye Matsumoto, who was born in Honolulu, Hawaii. After attending high school in Los Angeles, she enrolled in the French American Fashion Design School and graduated in 1941. 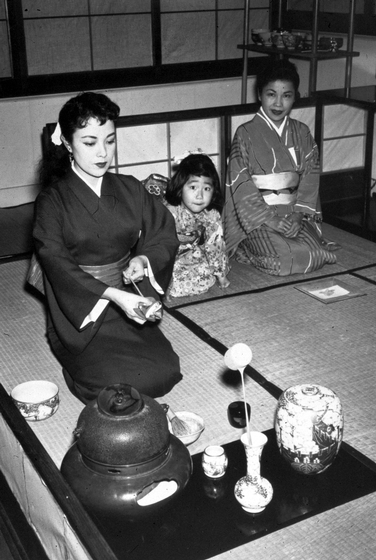 At that time, she also began training in the "way of the tea" ceremony. She moved to Kyoto, Japan, and for six years she trained under Tantansai, Fourteenth Generation Grandmaster of the Urasenke School of Chado, and Soshitsu Sen, Fifteenth Generation Grandmaster. 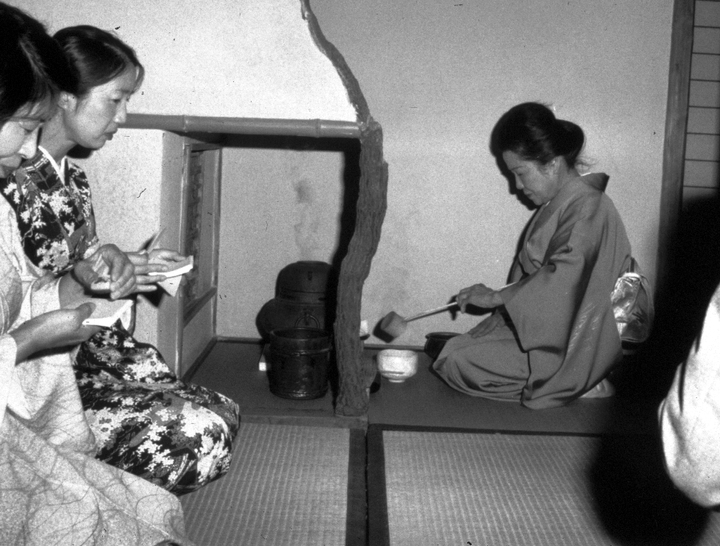 Following World War II, Matsumoto saw that there were few practitioners of the tea ceremony in her hometown, Los Angeles, but her desire to start a school was thwarted by the unsettled times, with Japanese Americans returning from wartime internment camps. 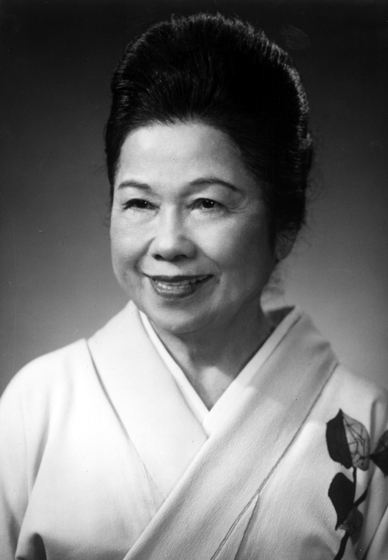 In 1951, she was invited to the signing of the United States-Japan peace treaty in San Francisco, where over a four-day period she served tea to more than 3,000 American and Japanese officials, including President Truman and Prime Minister Yoshida. Later that year, she started teaching the Urasenke Tea Ceremony in Los Angeles, convening the first tea ceremony classes ever held in the United States; one of her ceremonies is shown in the Twentieth Century Fox film East Is East. In the 1950s, Matsumoto introduced millions of Americans to chado through appearances on CBS and NBC television programs. In 1968, she was invited to present the tea ceremony at the Olympic Arts Festival in Mexico City. Her decades of teaching and lecturing throughout the country created many chado teachers and thousands more tea ceremony devotees. Over the years, her students have included Japanese- and American-born people interested in learning the ancient Japanese tea ceremony. Matsumoto exemplifies the character of a chajin or "tea person." She not only knows (and can teach) all the procedures for chado, but she also manifests the true spirit of self-discipline and compassion for others, which only a few students are ever able to attain. 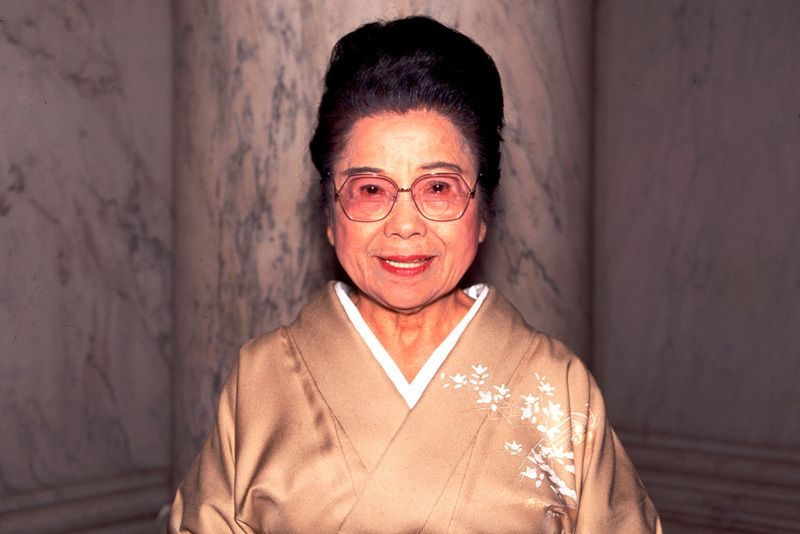 In 1989 she received the title Meiyo Shan, Honored Master, from her instructor Soshitsu Sen. This is the highest teaching certificate available for instructors of the Japanese tea ceremony. She has lectured and demonstrated widely throughout southern California as well as the Southwest. 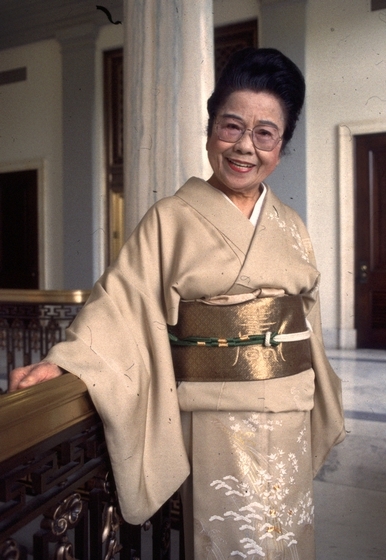 In recognition of her long service to preserving Japanese culture, Matsumoto received the Fifth Order of the Merit (The Order of the Sacred Treasure, Gold and Silver Rays) from the Emperor of Japan in November 1990. Okakura, Kakuzo. The Book of Tea. (Boston: Shambhala Publications, 2000.) Plutschow, Herbert. The Tea Master: A Biography of Soshitsu Sen XV. (Trumbull, Connecticut: Weatherhill, 2000.) "Steeped in Tradition." Los Angeles Times (September 29, 1996): E1.